Gorgeous colonial in the desirable Gentry Community! Brand-new hardwood floors on 1st level, upgraded kitchen w/ granite counters, SS appliances, dinette area overlooking a lush fenced in yard. Family room w/ vaulted ceilings, 2 new skylights, & lovely fireplace. Bright & airy! Master bedroom has a separate sitting area which is perfect for a nursery, office, or 4th bedroom! 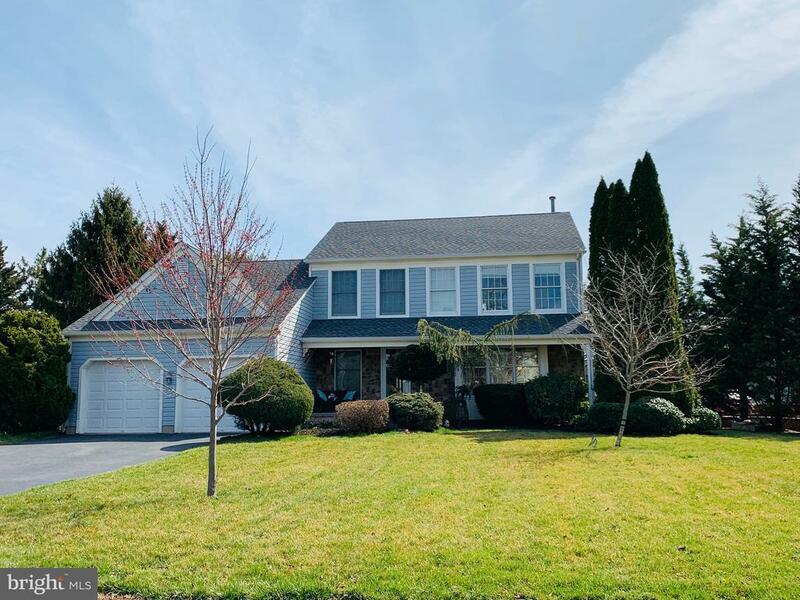 Highlights include, new carpets on 2nd floor, new roof w/ lifetime warranty, new HVAC, new garage doors, new gutters, & recently upgraded sprinkler system. Tastefully decorated thru-out! Full finished basement w/ recessed lighting, great for entertaining. This home has impressive curb appeal which includes professional landscaping, large treks deck overlooking a park like setting backyard, & a free standing shed! Ample closet space for storage. Blue Ribbon schools! Close to all major highways, shopping, and public transportation! Showings begin Sunday, April 14th at open house 1-4pm.